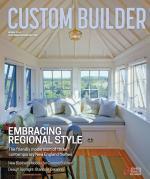 Custom Builder's articles, surveys, ideas, trends, and tips on best practices for residential builders, remodelers, and architects serving the residential construction industry. A key area of business that many builders fail to master is strategic relationships. Mark Richardson offers tips for leveraging those around you to improve your business. What stories are being told about your business?